Jennifer Kawwass is a third-year reproductive endocrinology and infertility fellow in Emory's Department of Gynecology and Obstetrics. The number of donor egg in-vitro fertilization (IVF) cycles has increased over a 10-year period of time in the U.S., and outcomes of births from the donor eggs have improved, according to researchers at Emory University. The results, published by the Journal of the American Medical Association (JAMA), were released early online today to coincide with its presentation at the American Society for Reproductive Medicine annual meeting in Boston. Between 2000 and 2010, Emory and CDC researchers, led by Jennifer Kawwass, MD, a third-year reproductive endocrinology and infertility fellow in Emory's Department of Gynecology and Obstetrics, looked at trends using donor oocytes (egg cells) in the U.S. and birth outcomes. The researchers used surveillance data from the Centers for Disease Control and Prevention's National Assisted Reproductive Technology (ART) Surveillance System (NASS). Fertility centers are mandated to report their data to the system, which includes information on more than 95 percent of all IVF cycles performed across the nation. 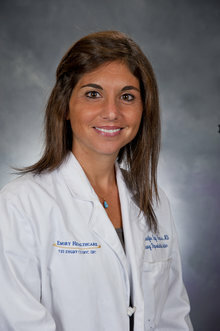 Kawwass, who is a fellow at the Emory Reproductive Center, observed that the average age remained stable at 28 years for donors and 41 years for recipients. Recipient age was not associated with likelihood of good perinatal outcome. "We also found that transferring a single day 5 embryo was associated with an increased likelihood of good perinatal outcome,” says Kawwass. "Negative predictors included tubal and uterine factor infertility (having damaged or abnormal fallopian tubes and/or uterus). Women with these diagnoses may have less chance of achieving a good perinatal outcome. Non-Hispanic black race was also associated with a lower chance of good perinatal outcomes as compared to non-Hispanic white race,” Kawwass explains. Further studies are needed to understand the mechanisms underlying the factors associated with unsuccessful outcomes, according to the Emory researchers. Co-authors on the paper include: Donna Session, MD, associate professor in the Department of Gynecology and Obstetrics at Emory and medical director of the Emory Reproductive Center; Denise Jamieson, MD, clinical professor, Department of Gynecology and Obstetrics at Emory and branch chief, Women’s Health & Fertility Branch, Division of Reproductive Health, CDC; and Dmitry Kissin, MD, MPH, adjunct assistant professor, Department of Gynecology and Obstetrics at Emory and team lead, Assisted Reproductive Technology Surveillance and Research, Women’s Health & Fertility Branch, Division of Reproductive Health, CDC.